Florida posted one of the highest rates of job creation in the U.S. for 2018, helping lift the entire southern region to the top regional rate of job growth. According to the Bureau of Labor Statistics, the Sunshine State’s nonfarm payrolls grew by 2.7 percent (or 22,800 new jobs) between Dec. 2017 and 2018. In numerical terms, this was second in the nation only to Texas, where nonfarm payrolls increased by 38,000, or 3.4 percent. The state with the highest rate of job growth last year was Nevada, with a 3.9 percent increase. The national average job growth rate for the period was just under 1.8 percent. Almost half of all 50 states posted net employment increases at or above the national average. 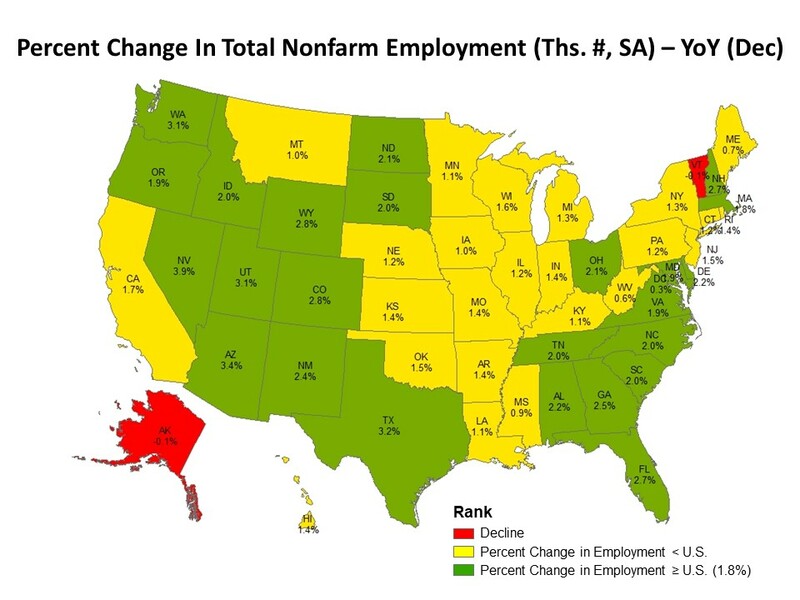 Only Alaska and Vermont reported a decline in payrolls for the 12 month period ending Dec. 31. Each of these figures were adjusted to account for seasonal fluctuations that are typical of the labor market. Florida’s strong showing in payroll growth helped make the southern U.S. the best-performer among regions as defined by the National Association of Home Builders. The NAHB found the South added to its total nonfarm payrolls by 2.25 percent last year, followed closely by the West region at 2.21 percent. This also translated into the highest number of net new jobs by region, with the South accounting for 1.2 million new positions created in 2018. Job growth serves as a leading indicator of overall economic performance, often positively correlated with home sales. 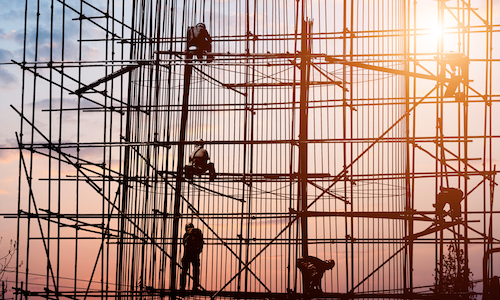 In fact, the NAHB found that the real estate industry directly benefited from some of this job creation: Employers in the construction industry (both residential and nonresidential) reported a net payroll increase of 6.7 percent at the end of 2018.